This cupcake recipe is easy as! I made the cakes, iced them and photographed them in under 2 hours. And ate a couple too! 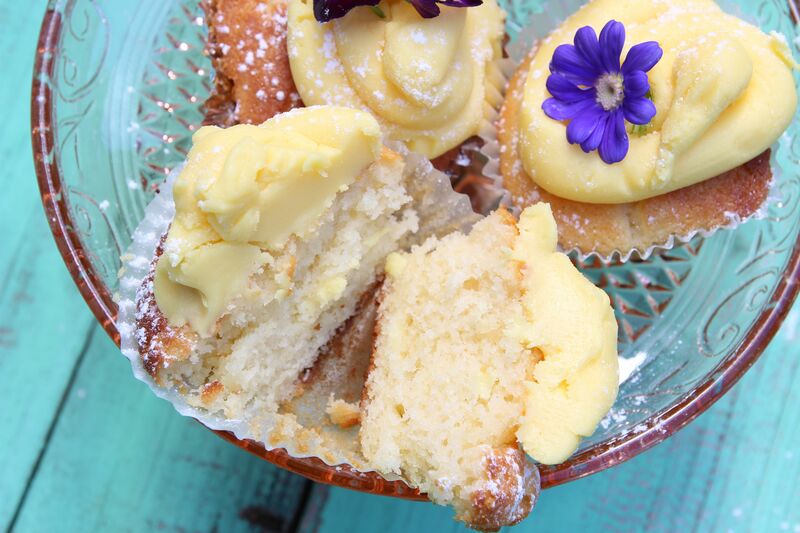 The yoghurt and white chocolate make the cakes very moist. 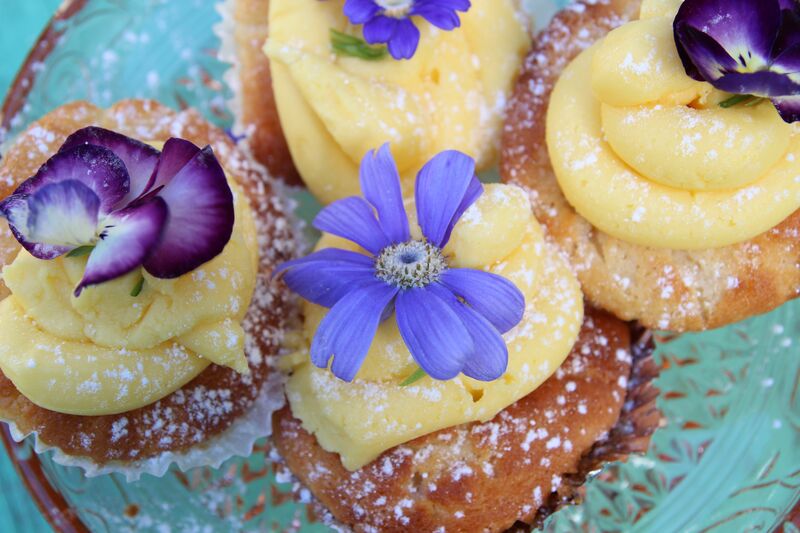 The addition of fondant paste to buttercream creates the passionfruit frosting. This paste comes in tubs in various flavours – I acquired passionfruit, plus raspberry fondant paste from The Essential Ingredient, Rozelle. Cream the butter and sugar in food processor. Add the yoghurt, eggs and vanilla paste and whiz until well combined. Add the flour, baking powder and salt. Process until smooth – be careful not to overmix as this will toughen the cakes. Stir in the melted white chocolate. Pour the mixture into cupcake cases in a muffin tin. Bake for 15-20 minutes or until a skewer inserted in the cakes comes out clean. Remove the cakes from the oven and leave to cool. Ice with the pasionfruit frosting and decorate as desired! Cream the butter and icing sugar in the food processor or electric mixer. Add the fondant food colouring and beat until really well combined. 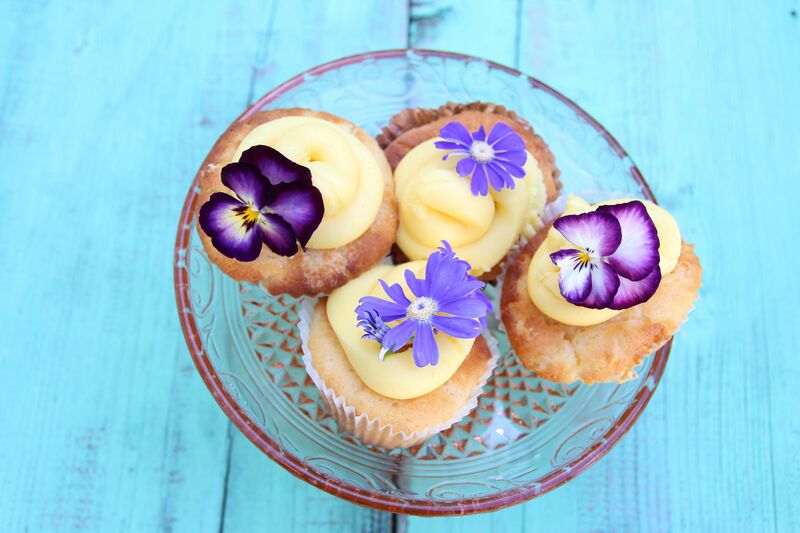 Posted in Cakes, Small Baked Things, Sweet Food and tagged cupcakes, Essential Ingredient, fondant, frosting, passionfruit, white chocolate. Bookmark the permalink.